One of the goals with Resident Evil 6 was to put the scares back in, bringing back some of the tension and drama that the older games featured. 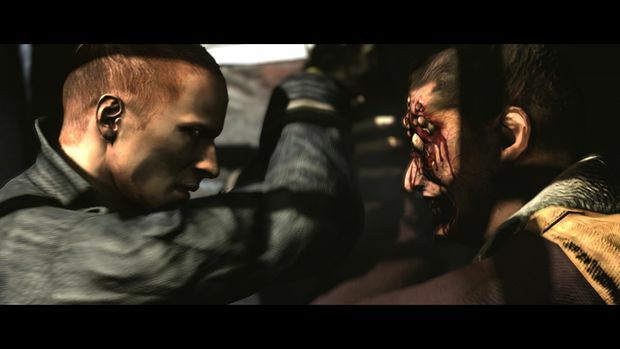 While Resident Evil 5 was a solid title, it was surprisingly light in the scares department for a survival horror, and many series fans said that they missed the zombies the series had been known for. A back to basics refresh alone would be enough to support a new numbered entry to the franchise, but Capcom has even bigger plans for this next game. They revealed the details of these changes at a press event last week, followed by a first look at actual gameplay. The good news is that Cacpom has gone nuts trying to make this the biggest and best Resident Evil yet. 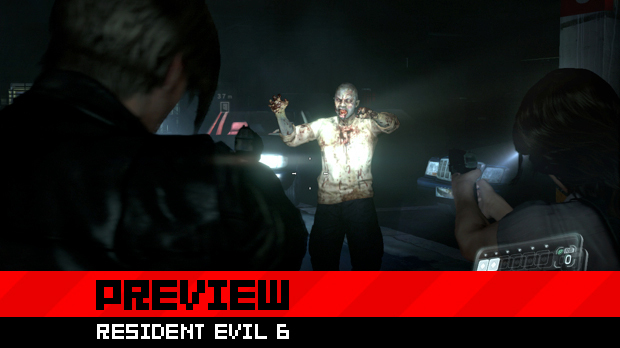 I'm excited, and after you read our preview of Resident Evil 6, I think you will be, too. Capcom's Hiroyuki Kobayashi, Eiichiro Sasaki, and Yoshiaki Hirabayashi tag teamed to dump a ton of new information on members of the press at this event. They stressed that this next game goes beyond standard survival horror as they've focused on bringing fans the most dramatic story and action they could pull off, using the largest staff ever assembled to create a Resident Evil game. They're also aiming to bring back some of the thrill and surprise of the earlier games. Through these changes they're hoping that they've "taken survival horror to the next level" with Resident Evil 6. 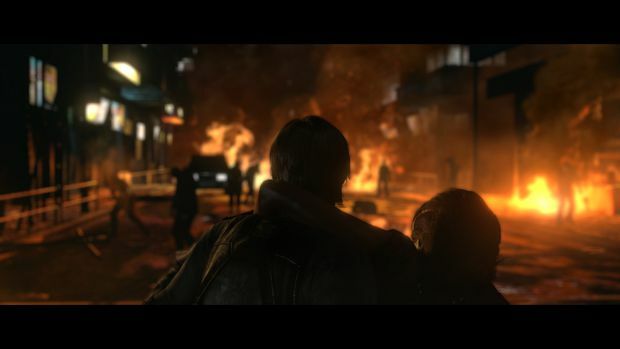 Resident Evil 6's story is split into three separate campaigns, each with its own main character and secondary partner, with each campaign intertwining with the others, ending up in the same place, Lanshiang, China. Each campaign has its own storyline, and players are free to start any of them from the beginning. Little was said about just how these stories will intertwine, but it was noted that finding out for yourself is one of the pleasures of playing this game. 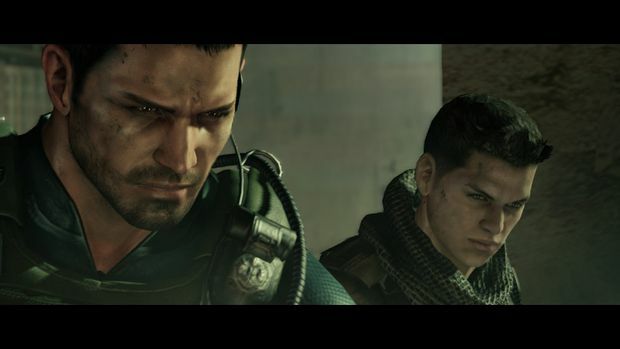 We do know that former Resident Evil heroes Chris Redfield and Leon Kennedy will meet for the first time, and a new hero named Jake Muller will be introduced. Leon Kennedy's story starts in America, in the city of Tall Oaks. He is in town to support his friend, the President, at an event that will announce zero tolerance for bioterrorism. Unfortunately, at this event the president falls victim to an attack by terrorists and becomes a zombie, and Leon is forced to kill him. Helena, a member of the President's Secret Service detail, was also present during this incident, and tells Leon that she knows the truth behind the attack. Before they can make it out of Tall Oaks to begin searching for the truth, they are both framed for the murder of the President. Chris Redfield is in charge of the BSAA team in China when another bioterrorist outbreak occurs, and his job is to lead his team to put an end to the attack. 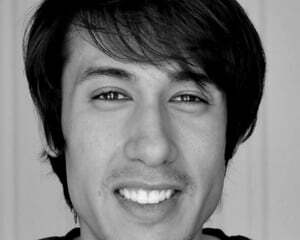 He is there with fellow team member Piers Nivans, a talented sniper that has become a friend. While fighting bioterrorism in other parts of the world about half a year earlier, something happens to Chris there that changes his entire outlook on life, as well as his drive to fight terrorism. Piers was there to support him in this time, and has since become a partner to Chris. The event from 6 months prior has changed Chris, so expect to play as a slightly different character from the one you're used to. Finally, new character Jake Muller's story kicks off in Europe in the city of Edonia, where he is fighting as a mercenary in a civil war, trying to earn some much-needed money for his mother back home. It seems that his father, Albert Wesker, abandoned them, and now he'll do anything to support the woman that raised him. During his work there, Jake meets Sherry Birkin, a female agent that insists that he can save the world. Jake initially resists her request to leave, but he's the type that will do anything for money, so the two work to escape the war-torn country to go to where Sherry says they need to be. For this last team, there's an interesting backstory twist. Sherry, a character some will remember from Resident Evil 2, has the G-virus. 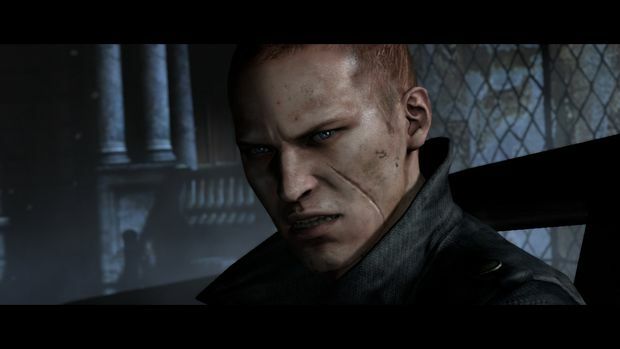 Jake, being Wesker's son, also has special blood that makes him immune to infection. Capcom seems to have big plans for this exceptional pair. 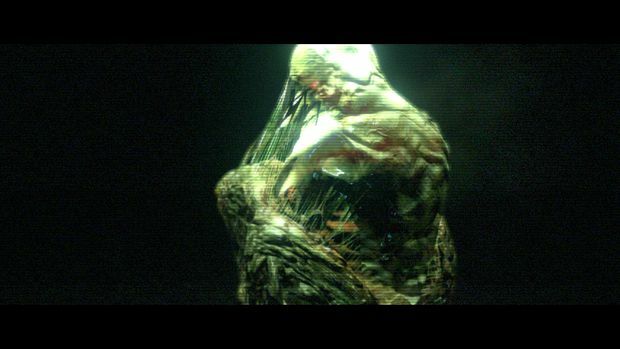 Speaking of viruses, the new threat this time around is the C-virus, and with it comes the return of zombies. It seems that with this new virus they're a bit more nasty than ones from past games, and are capable of holding weapons, dashing, jumping, and climbing over things. Get ready to run. And speaking of running, save some of your stamina for a get away from a new creature called the J'avo. Capcom says that this ugly, six-eyed humanoid baddie is smart, can heal fast, and will mutate into your worst fears, the latter referring to the fact that they can regenerate limbs that you attack, mutating them into something completely different the second time around. Oh, and they can also use weapons. 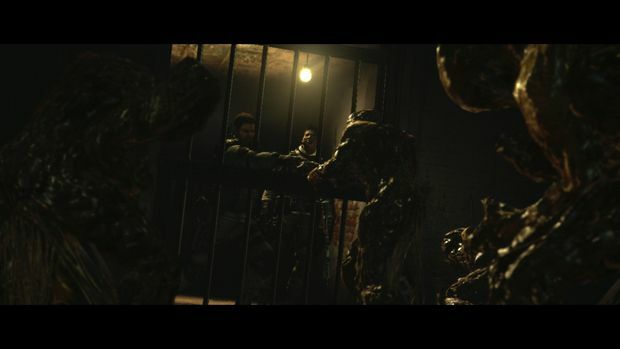 With enemies like these around, you might be glad to hear that Resident Evil 6's new game controls permit running and shooting at the same time. Capcom says that they were aiming for a stress-free control scheme, letting them put the horror focus in the story and setting, and not with syrupy movement and standing shots. While you might think you'll have an easy time this go around with this new control scheme, note that enemies can jump on you, lunge at your throat and do more horrible things you're not expecting. New moves, like being able to roll on the ground and lie on your back to shoot upwards, may help you out of some of these scary situations. We were able to watch live gameplay of Leon's campaign from the beginning. It kicks off with Leon and Helena backed into a corner, with an infected President lumbering toward them. Leon yells, "Don't make me do this! ", but is forced to shoot. From here, the two begin to work their way out of Ivy University to learn more about this attack as well as escape from the spreading C-virus, but they encounter an infected man that is looking for his daughter and decide to help. They work their way through the dark, running through hallways to make their way through a massive banquet hall as lightning flashes from high windows, looking to find this man's daughter. As anyone that has enjoyed a Resident Evil game would have guessed, things don't go as planned. As a fan of the atmosphere of the older Resident Evil games, I was pleased to see evidence of Capcom's focus on horror and tension for this next game. Thunder growled outside the university, breaking up howling winds. Inside, in near darkness, floors creaked, windows broke, and chandeliers swayed, with one falling directly in Leon's path. Later, gross coughing, squelching noises and creepy piano playing in the distance had me wincing, waiting for the attack. I was impressed that the environment was scary enough without enemies. It got even better when the inevitable surprise attacks came, and felt like the good old days when the zombie floodgates finally opened. In a strange change, it seems that the famed green and red herbs of the franchise have been replaced. Capcom says that they're still there in spirit as they're used to make tablets. These new tablets recover health just as before, but now you can dump them into your mouth instantly with a single button press, eliminating the need to navigate a menu to heal up. I bet someone at Capcom realized how silly it was to be carrying potted plants in your inventory, let alone finding them in crates and desk drawers. As far as I could tell from this hands-off preview session, gameplay and combat looked great. Leon creeped through the darkness with his gun up, and when attacked had to do an analog stick wiggle to get free. Headshots still do the trick for these new zombies, and Leon's flashy spin kick is every bit as useful as it was a couple of games ago. These new zombies are definitely scarier, with more erratic movement and more weapons in their hands, but it was good to see that Leon could take a pipe from one and finish it off with its own tool. We also saw Leon trying out his new ground shooting move, which had him laying on his back, looking upward to shoot from the floor. Zombies also began crawling, pulling at his feet, forcing him to push backwards with his feet to safety. He had to also be mindful of the still-standing zombies, doing his best to empty clips into their jaws while sliding backwards. Players will be able to slide or roll in any direction and take cover now with this new combat system. Melee attacks have also seen enhancements. One of my favorite new moves was used for a troublesome zombie that wouldn't go down with headshots; Leon took his knife and jammed it up through the bottom of his chin, up into his brain. Beautiful. Capcom showed off a bit of RE6's split screen cooperative play, which is supported locally as well as online. This game debuts full drop-in, drop-out support, meaning that you won't have to go back to a checkpoint to play with a friend. Fully customizable UI options let you move the split screen position to help distinguish who is playing what. Our time seeing co-op was brief, but it looked great, with Leon and Helena working through an old building together, teaming up on zombies. Near the end of the demo I saw a quick flash of a pop-up HUD that showed button commands to do things like call in your partner, praise them and so on. When asked, Capcom wasn't ready to give specifics on this HUD yet, but said that it changes depending on what character you play as. Finally, the Mercenaries extra game mode returns in Resident Evil 6. But, unlike the last two games, you can play from the beginning, without having to cross some checkpoint to unlock the mode. Capcom says that they'd be happier if you played all three campaigns before starting the Mercenaries mode, but the choice is ultimately yours. As a series fan, I had a grocery list of what I wanted out of the next numbered Resident Evil game, and I'm pleased to say that this very first showing of Resident Evil 6 had me crossing many items off. I didn't necessarily need returning stars, but a fleshing out of the lore was one of the items, so I'm sure that's coming. I can also cross off improved gameplay options and the return of both zombies and scary atmospheres -- great news. With three intertwining story lines, I'm hoping I'll also get the depth I've been craving, as Resident Evil 5's story was a bit shallow. It looks like I'll have to wait a bit to see if my wish for enemy variety has been satisfied, but the few I saw looked like a step in the right direction. It's too early to make a call on the most important of my wanted items: gameplay. Let's hope that the new move-and-shoot control scheme is what it needs to be. After seeing the gameplay of RE6 and speaking with its creators, I'm definitely optimistic. If all of this comes together and it manages to work out as Capcom plans, this is going to be a fantastic game. So far, the best news out of all of this is that we won't have to wait as long to play RE6. 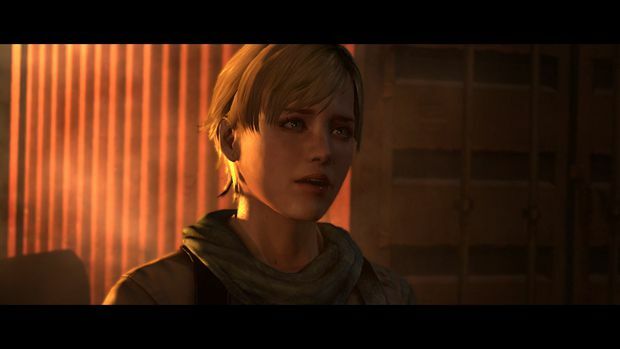 Capcom gave a release date at announcement of November 20, 2012, but fans voiced their disappointment at this late date. 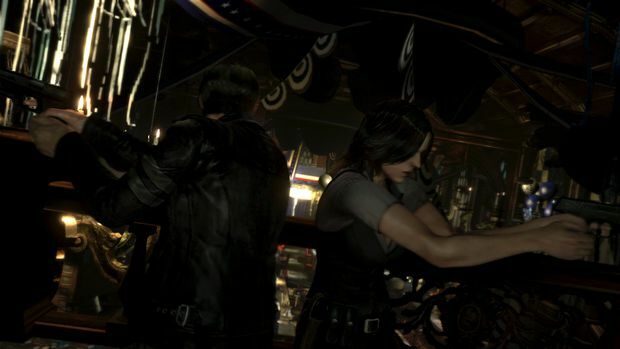 At this event it was revealed that they talked to the development team and decided that they could get this game into the hands of fans much earlier, so now we can expect to see Resident Evil 6 drop on October 2, 2012 for Xbox 360 and PS3, with a PC version coming at a later date. You'll want to keep an eye on NoHopeLeft.com for announcements and updates in the coming months, and keep your eyes open during this summer's E3 for more on the game.